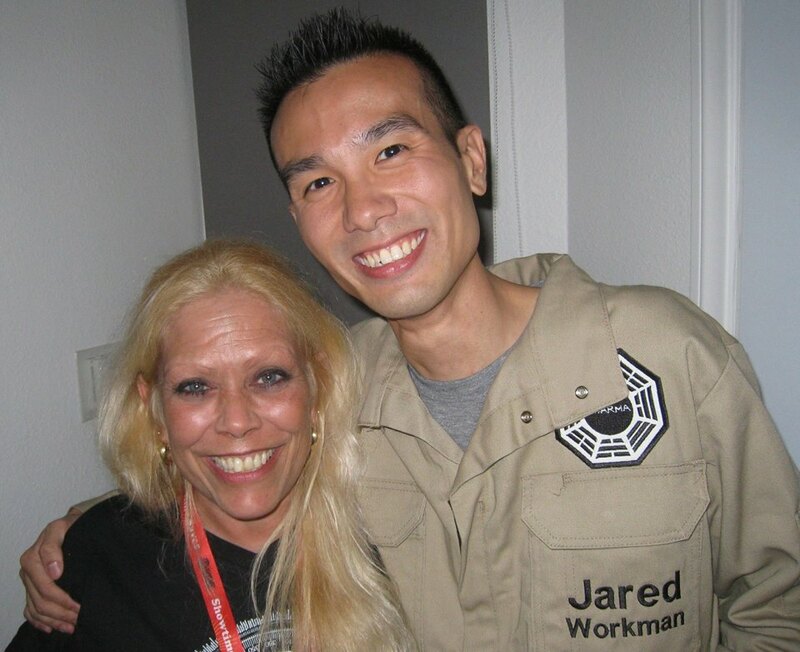 Five days ago, we delivered the sad news about the sudden passing of Bonnie Craft, our great friend, a huge CGL supporter, and probably one of the biggest LOST fans to have ever graced this planet. The outpouring of condolences from everyone who knew her has been overwhelming, especially to her family. Many people have asked how they can contribute to Bonnie’s funeral expenses, and if they could send flowers or gifts of respect and tribute. We have spoken with her family, and they have decided to continue Bonnie’s incredible legacy by doing what she did best: taking care of other people. As such, in lieu of donations, flowers, or gifts to the family, they have requested that donations be made instead to the American Cancer Society. 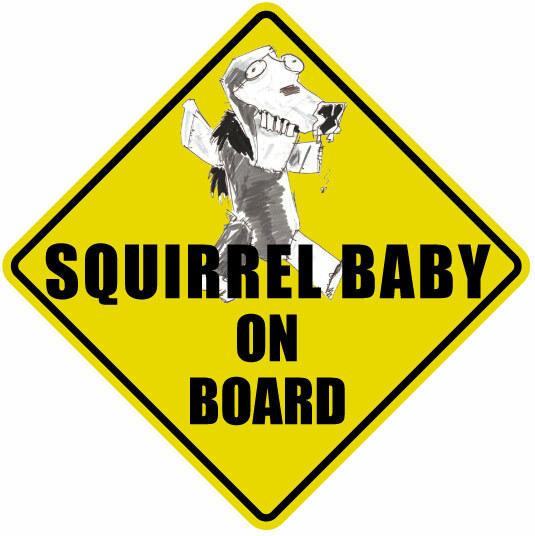 If you do make a donation to the ACS in any amount, in Bonnie’s memory, please email us a copy of your receipt (cancergetslost at gmail dot com), because we’d love to send you one of her custom LOST Squirrel Baby on Board car signs (we will ship them anywhere around the world). Bonnie had commissioned a squirrel baby sketch after seeing a version of one in a magazine article featuring Damon and Carlton’s LOST writing room. She then had car signs made of this sketch specifically for CGL fundraising endeavors, and many attendees at the LOST 2014 silent charity auction last week picked one up for $5 donations each to the ACS! If you would like to share a memory of her with her family, her good friend Caleb Woods is leading an effort to do just that. Please check out his message if you would like to contribute. Even though she has left us, we continued to feel Bonnie’s support during our Cancer Gets LOST charity auction: the items that she donated helped us raise an astounding $3,531 for the American Cancer Society. In the weeks before she passed, she had even placed bids on the very items that she had donated herself (classic Bonnie)! The messages of condolences and tributes from people all over the world reflected the sheer number of lives that she had touched, and the common theme among all these messages – even from people she had only met online was that Bonnie’s heart was boundless. It is thus our honor and indeed privilege to continue Bonnie’s passion for philanthropy, and we hope that you will join us in doing so. Bonnie with Henry Ian Cusick & Nestor Carbonell. She flew from Memphis to Los Angeles just to catch Ian’s premiere of Frank vs. God. Her family said that this was one of the biggest highlights of her life. 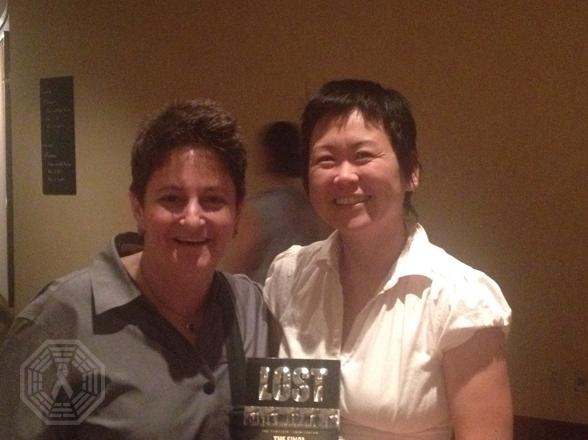 This picture was actually taken on the insistence of Nestor, who was particularly impressed by Bonnie’s dedication. 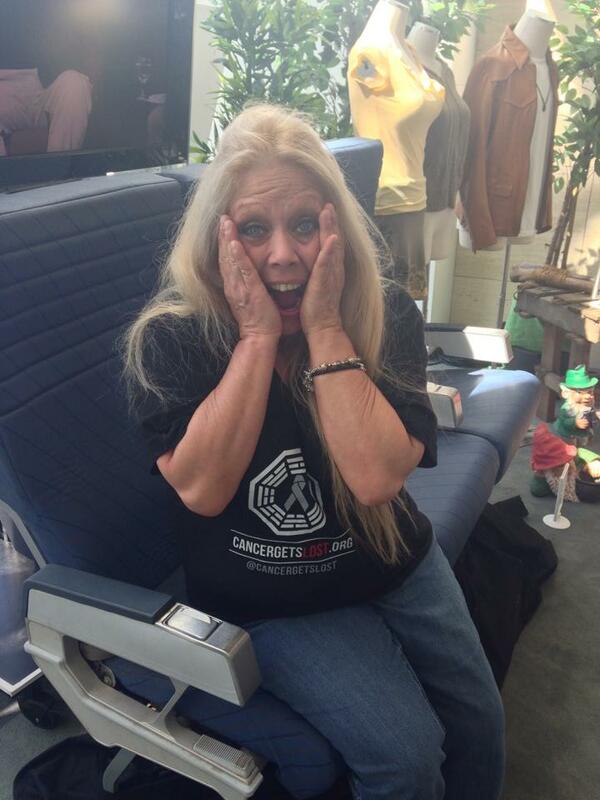 Bonnie with her “I’m on Oceanic 815!” face, taken at the LOST exhibit at the Paley Center for Media. “Arrow” Season 1 poster and Blu-ray, signed by Stephen Amell (Oliver Queen/Green Arrow), creators Andrew Kreisberg & Marc Guggenheim, with writers Beth Schwartz, Keto Shimizu, & Ben Sokolowski. 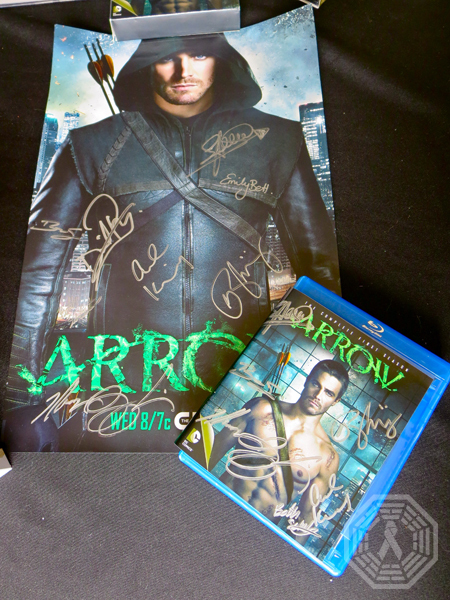 Poster also signed by Emily Bett Rickards (Felicity Smoak) & David Ramsey (John Diggle)! A note of support from Valorie Curry & Sam Underwood! 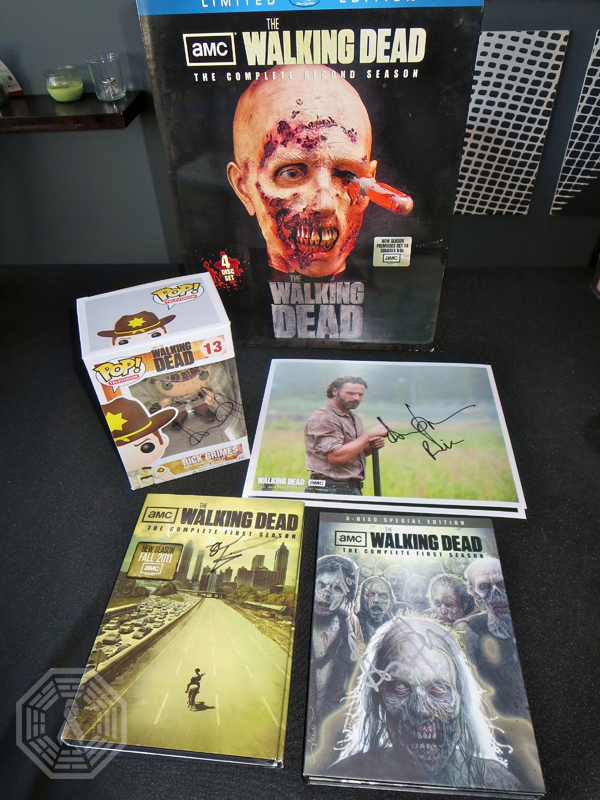 “The Walking Dead” Season 2 limited edition Blu-Ray set, signed by creator Robert Kirkman, executive producer Scott M. Gimple, special effects creator Greg Nicotero, with Andrew Lincoln (Rick), Norman Reedus (Daryl), Michael Rooker (Merle), Jon Bernthal (Shane), Scott Wilson (Hershel), Emily Kinney (Beth), James Allen McCune (Jimmy), Danai Gurira (Michonne), Laurie Holden (Andrea), Sarah Wayne Callies (Lori), Chandler Riggs (Carl), Melissa McBride (Carol), Madison Lintz (Sophia), Steven Yeun (Glenn), Lauren Cohan (Maggie) & IronE Singleton (T-Dog)! 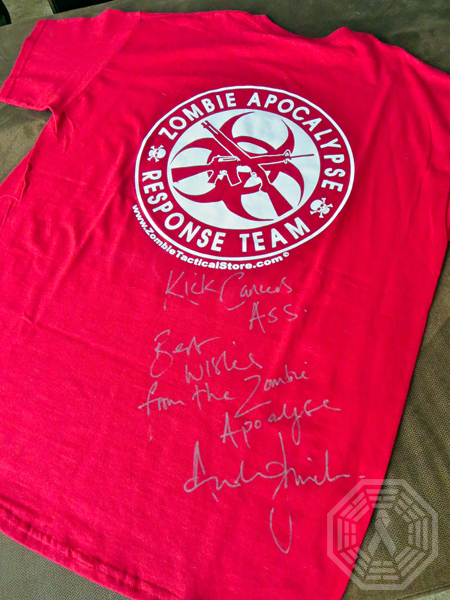 And Rick Grimes himself has a special message for you! As we get closer to the opening of the charity auction, we will be revealing more of the incredible items we’ve accumulated, so stay tuned. Thank you to everyone who has generously contributed items or autographs, and for all of your support in our efforts to raise money for the American Cancer Society this year! 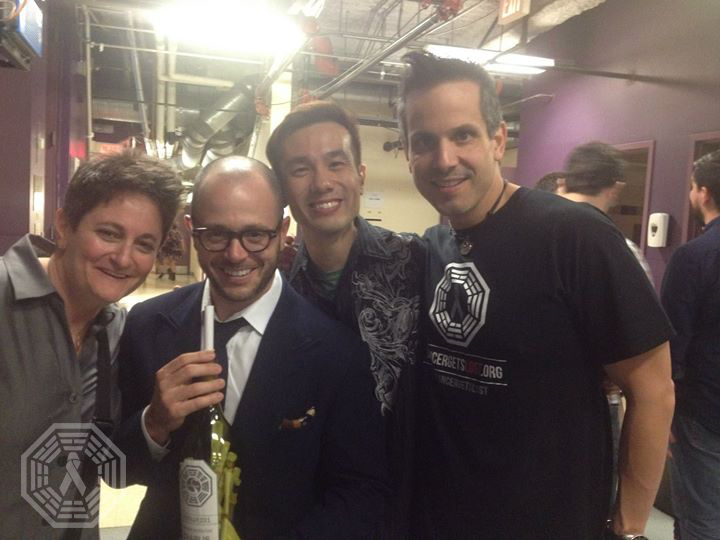 316: The LOST 10 Year Reunion PaleyFest Panel & Walker Stalker Con! In March, we were fortunate to be able to attend both Walker Stalker Con in Chicago and the LOST 10 Year Anniversary Reunion panel at PaleyFest in LA! Below is a rundown of our fantastic experiences at both. 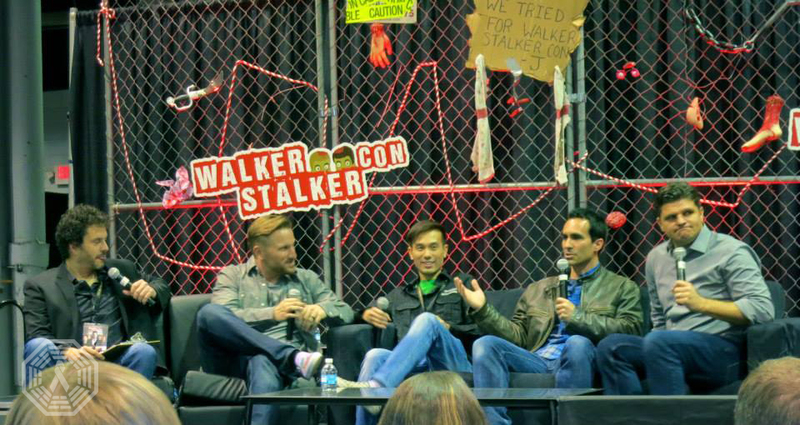 Jared had the great pleasure of meeting and spending time with Nestor Carbonell (Richard Alpert) at Walker Stalker Con in Chicago, and Nestor went above and beyond in support of CGL. He signed a variety of LOST and Bates Motel items, invited Jared on stage to join his panel to talk about CGL and even created a video promo for us (which we will reveal soon)! Special thanks to The Walker Stalkers themselves, James Frazier and Eric Nordhoff, for this opportunity – they’ve been so very kind to CGL! While Jared was in Chicago, Jo met up with a few very good friends of CGL in LA about our big charity auction in September. 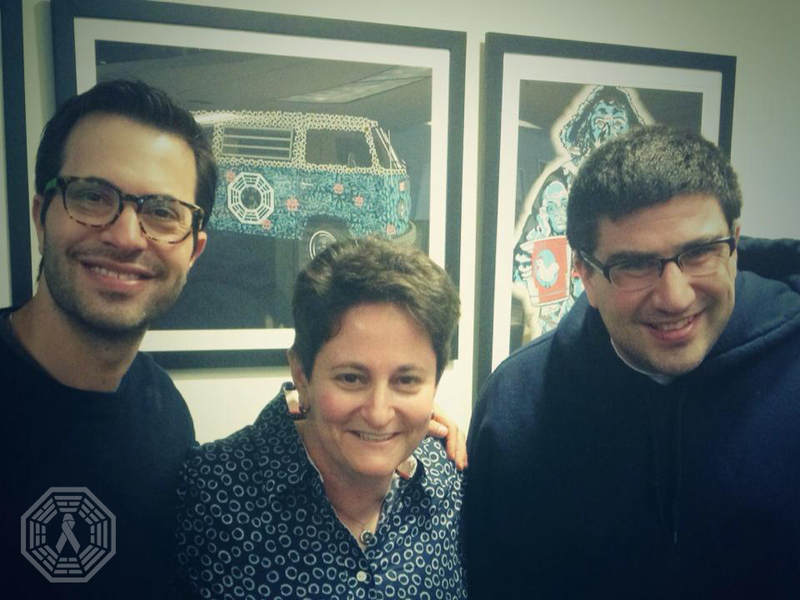 Eddy Kitsis and Adam Horowitz, show runners for Once Upon a Time, kindly signed items and also donated additional memorabilia! 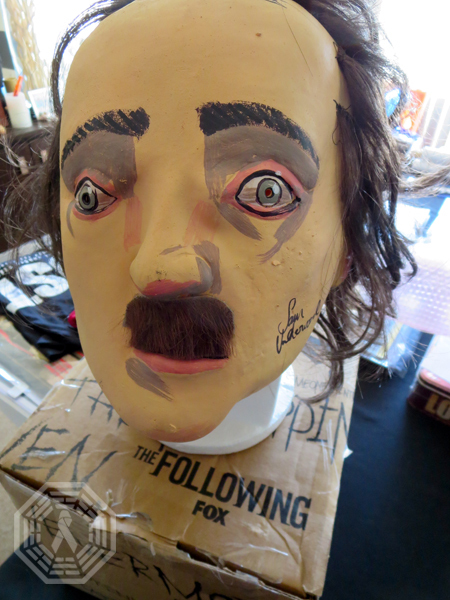 In addition, our friends at Bad Robot generously provided a few boxes of rare LOST prints and screen used props! Once again, the generosity from both parties was tremendous and we are always incredibly grateful for the contributions they make to our charity auctions. Leading up to our big auction in September, we will be releasing preview teases of items that will be featured – and stay tuned for an official announcement about our new auction host partner! This year, we have designated 100% of the proceeds from our auction to benefit the American Cancer Society. Jared quickly returned to LA to join Jo for the LOST 10 Year Anniversary Reunion panel at PaleyFest! Due to a variety of fortuitous circumstances, we were able to join the cast in the green room backstage before and after the panel. They allowed us to set up a table of auction items and the cast all stopped by to sign and chat with us. We were thrilled to have that opportunity, and once again this experience confirmed that all involved with LOST continue to be the most generous and supportive cast and creative in the business. The show debuted ten years ago and ended four years ago, and yet – they all still recognize and appreciate the amazing community and camaraderie they were responsible for creating. We were very honored to have been able to provide two very special guests with tickets to the panel; two cancer survivors and huge LOST fans that made the journey specifically for the event. Robert traveled all the way from Europe, and Sandy drove up from San Diego! It was such a pleasure meeting both of them, and we will continue to send them positive vibes for good health. As a side project a while back, Jared had the idea to gather notes of encouragement and support for Damon Lindelof after his abrupt departure from Twitter. He created Messages From the Island, put all of the notes into a nice Dharma wine bottle and was able to deliver it in person after the PaleyFest panel. The look of joy on Damon’s face was genuine and heartwarming, and it was one of the more memorable moments we’ve experienced in the many years of LOST adventures together! We have many exciting announcements on the horizon, so please stay tuned! We are very pleased to announce that the National Brain Tumor Society (NBTS) is almost done processing all your winning bids as donations, and we are now Moving On to the shipping phase of the process! First, please note that every winning bidder will be receiving a receipt from the NBTS directly. They will be sending them out over the course of the next 2 weeks. Second, as we have stated in the FAQ, we are only a two-person operation with regular full-time jobs, so we really appreciate your patience and understanding while we ship over 200 items to different people all over the world! We will be shipping the smaller items out first, and move towards the bigger items – posters/prints/paintings, furniture, etc. We estimate that delivery should take approximately 1-2 weeks for US domestic, and 3-4 weeks for international. Thanks again for your support of Cancer Gets LOST. We are excited for everyone to receive their items! So It Begins: The Charity Auction is Now Open for Bids! 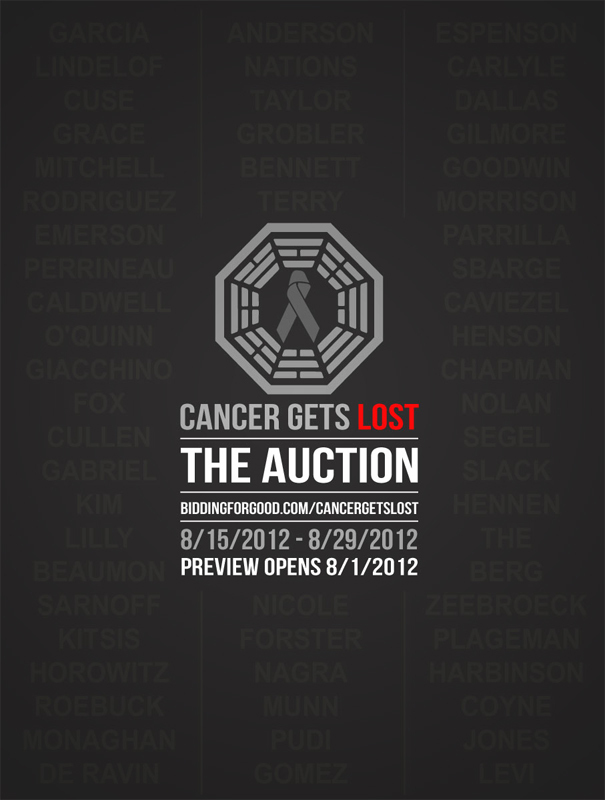 The Cancer Gets LOST charity auction is now open for bidding! We have added quite a number of fantastic new items over the last two weeks, so please be sure to check them out! Note that you must first be registered before you can bid (registration is free). We have also crafted an FAQ for the auction, which should hopefully answer most of your questions! The auction will close on August 29th, 2012, when the first item closes at 3:16pm ET. Please remember that absolutely 100% of all proceeds will go directly to the National Brain Tumor Society, so please bid with open hearts! The Items Behind The Curtain: Auction Preview Now Open! It is with great pleasure that we are able to finally unveil the items that we have been acquiring over the past 2 years for the official Cancer Gets LOST Charity Auction! 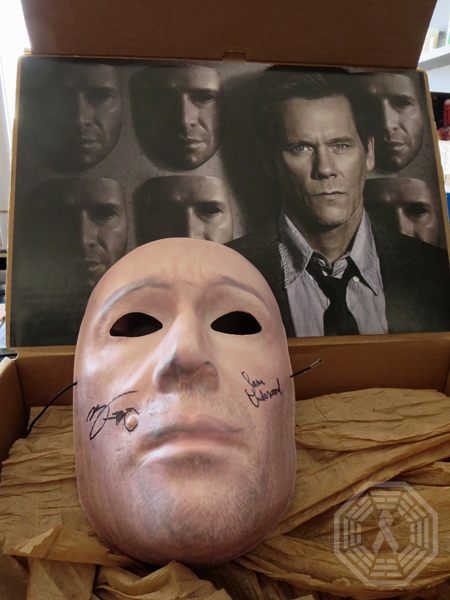 From autographed television memorabilia (LOST, Once Upon a Time, Person of Interest, Fringe, and more!) 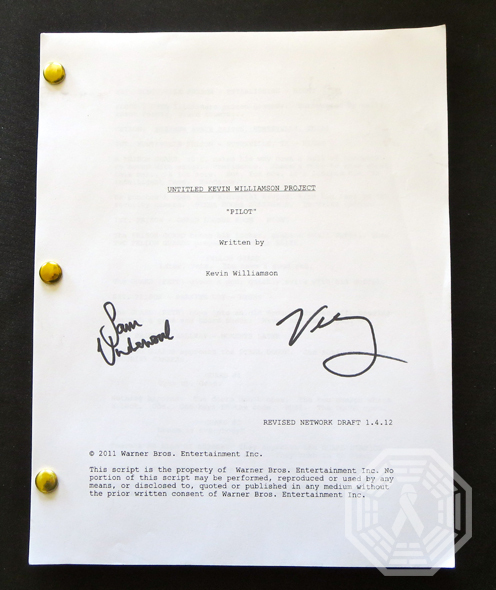 to limited edition/rare prints and awesome artwork to signed scripts and actual furniture from the LOST survivors’ beach camp – there is something for everyone! All items are affordably priced; opening bids start as low as $4! With the exception of the heavy furniture and larger art, the cost of shipping is factored in/included in the bidding price of each item. And we will ship anywhere around the world! The auction will be in “Preview” mode until 8/15, when it officially opens for bidding at 1:08pm ET. The auction will close on 8/29 beginning at 3:16pm ET. Absolutely 100% of every Penny will go directly to the National Brain Tumor Society, so please bid with your hearts, and help us kill the ultimate Monster that is cancer. So without further ado, we present the auction preview! Please remember to pre-register on the site so that you will be able to bid on items once the auction opens officially on 8/15. Met up with Michael Emerson (Benjamin Linus on LOST, and currently Harold Finch on Person of Interest) at a benefit for Reading Opens Minds in LA… and thanks to him, we now have several items autographed for our charity auction in August! And as an added bonus, here’s a clip of Michael doing a reading of “A Christmas Carol” by Charles Dickens! Person of Interest returns for a second season this Fall on CBS. It is with great pleasure that we are able to finally announce the venue for the official Cancer Gets LOST Party, to benefit the National Brain Tumor Society! We will be hosting the event at Monk Space (4414 West 2nd Street, Los Angeles, CA 90004) on the evening of August 25th, 2012 from 7pm to 11pm. Join us for LOST trivia, giveaways, and more! Items from the charity auction (taking place that week) will be on display and special guests will be invited, but we cannot guarantee appearances ahead of time. However, they will be announced as they are confirmed! Admission at the door will be a donation of any amount $5 or more to the National Brain Tumor Society, which can be made either in cash at the door or online via limited laptop Stations at the party. We will have separate wristbands for guests over and under 21 – so please remember to bring your ID! No advance tickets are necessary, but we do ask that you please RSVP via our Facebook event page. If you are not on Facebook, simply RSVP by emailing party[at]cancergetslost[dot]org! You don’t have to be a LOST fan to attend – it will be a gathering of fellow pop culture nerds, all for a great cause! Of course, as further details are finalized, we will be sure to keep everyone updated. Until then, namaste, and we look forward to meeting everyone on 8/25! … the show that we’re getting on the road, that is! Over the weekend, we had the privilege of meeting the ravishing Maggie Grace (Shannon Rutherford), who was just amazingly supportive of our cause. Having had several family members affected by cancer herself, she graciously (no pun intended) signed several items for our charity auction without any hesitation! But as if that wasn’t awesome enough, Michelle Rodriguez (Ana Lucia Cortez) serendipitously (and quite ironically) also happened to be the DJ at the very same location! After pointing out that she thought our logo was cool (and high-fiving me over a chuckle), she also gave us her John Hancock on some cool items for our swag pool. Maggie stars with Guy Pierce in the new sci-fi action thriller Lockout, which premieres April 13th, 2012 in the US. Michelle returns to the Resident Evil franchise with Resident Evil: Retribution, slated to be released September 14th, 2012. Much thanks to these two lovely ladies for their support!